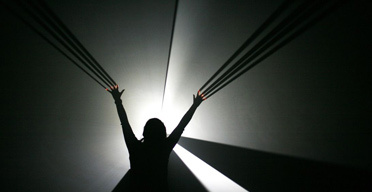 McCall’s unique projections, which he has been developing since the 1970s, exist at the boundaries between cinema, sculpture and drawing: animated lines are projected in a dark room filled with a light haze, allowing viewers to step into the beam of light and change its appearance. 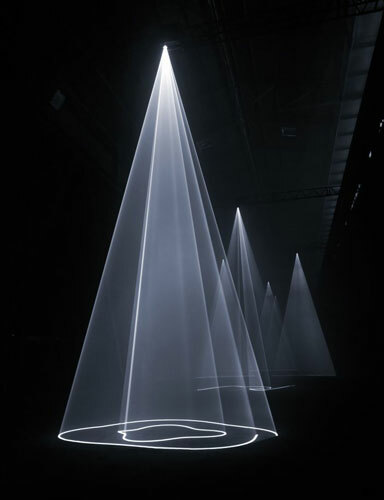 In the exhibition Anthony McCall Five Minutes of pure Sculpture, The Hamburger Bahnhof shows works that McCall created beginning in 2003 after a 20-year break. While the early works are shown on 16 mm film, his more recent works are digital projections whose complex forms can only be created with the aid of computers. McCall’s horizontal works will be exhibited for the first time alongside his more recent vertical works, which bathe the exhibition space and the viewer in sculptural light.